by Allison Percival, Calgary’s Child Magazine Most Calgarians have visited the Badlands at least once – this incredible, unique geological formation stretches all the way down to Arizona. It’s home to unique plant and animal life, rich natural resources, incredible rock formations – and, at least in our part of the Badlands, some world-class hospitality. If you’re new to the foothills region (or maybe just haven’t made it out of town in a while!) you might not know what makes the Badlands so special. With school back in session and work ramping up for the fall, your vacation time might be over; but, that doesn’t mean you can’t explore the many wonderful and unique Albertan treasures right in your backyard on a Saturday! We’ve put together our One Perfect Day in the Badlands for those of us who haven’t had the chance to explore its highlights and are looking for something special to do on the weekend with their families. Watch for a full-length feature in our November/December 2018 issue for a more in-depth itinerary including even more things you can see and do in the area if you’d like to explore beyond the typical stops! 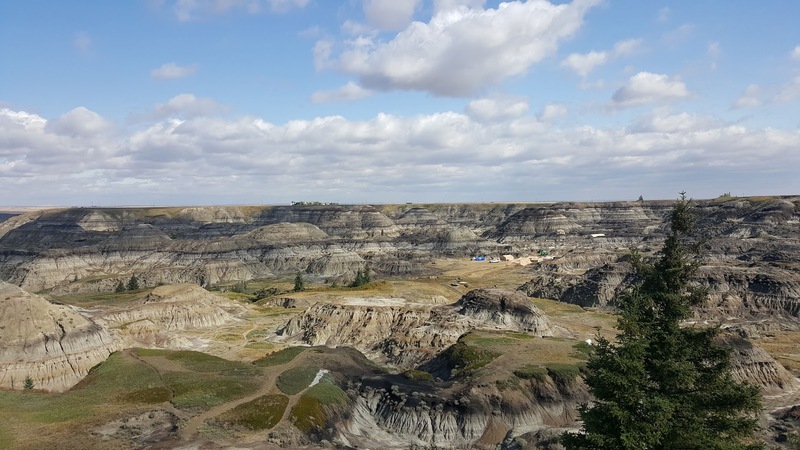 Horseshoe Canyon can be viewed from a series of well-built platforms adjacent to the parking lot; there’s a gift shop and pit toilets alongside. If you’re feeling especially adventurous, you can charter a helicopter tour of the canyon here. This is a great stop for a mid-morning snack, but if your kids are up to it, our recommendation is to take one of the paths down into the canyon and spend half an hour or so exploring the strange, almost Martian landscape at the bottom. There are plenty of interesting holes to peek into and rocks to climb! You could spend an entire day hiking the many paths which wind through the canyon and beyond, but our next stop is the Royal Tyrrell Museum in Drumheller. The Royal Tyrrell Museum is a world-class facility. It’s Canada’s only museum dedicated exclusively to palaeontology, and we’re lucky it’s so close! 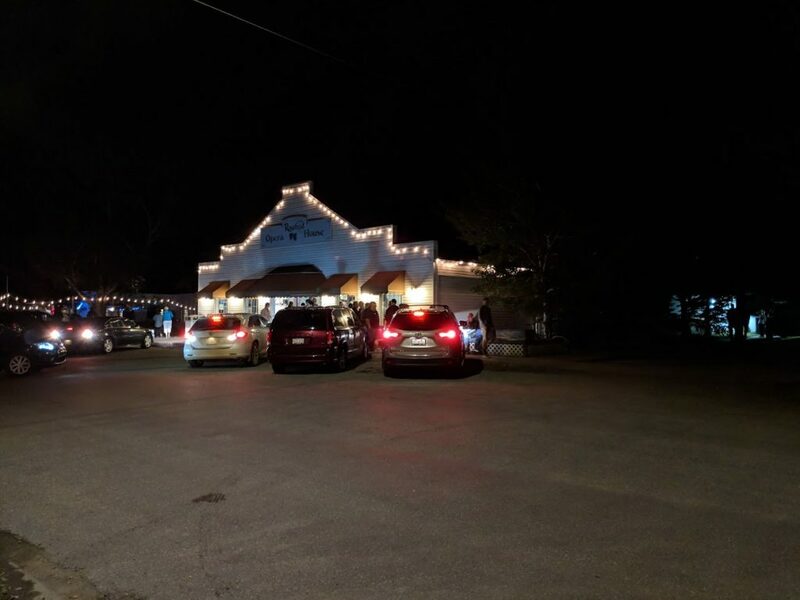 It can get exceptionally busy on a weekend, but tends to quiet down in the fall. Many of us have toured the exhibits before, but the museum is always changing! A large section of the second floor has been given a facelift with new exhibits in the past year, and construction has begun on an ambitious new wing which will house meeting and learning areas to accommodate more workshops and visitors. If you have time to spare, we really recommend signing up for one of the workshops offered by the museum. We had the opportunity to take the Fossil Casting workshop when we visited and we loved it. 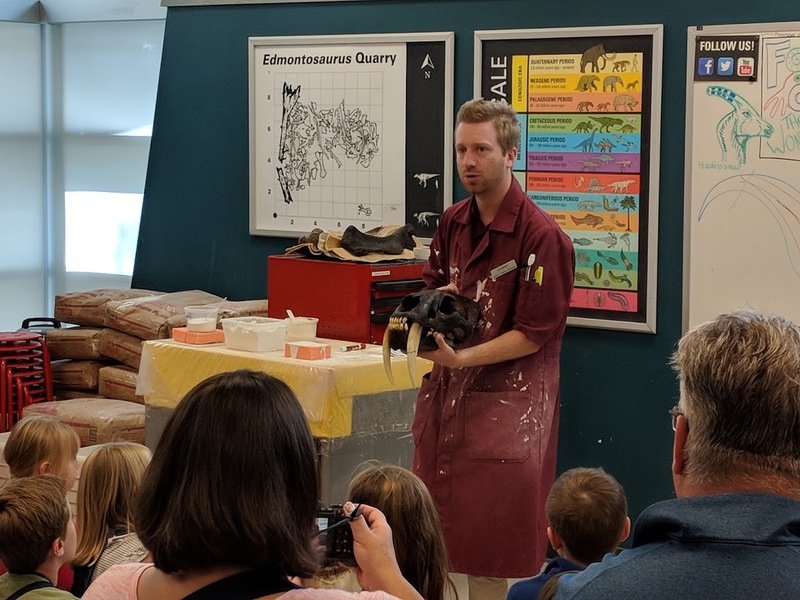 Our instructor, Clem, taught us all about the importance of taking fossil castings, how to tell a claw from a tooth, how the Royal Tyrrell Museum categorizes and stores their fossils, and much more – you get to make and take home your own souvenir fossil casting, too! The program runs about 45 minutes and is only one of the many offerings for kids and adults which run all day long. Be sure to check out the board at Guest Services when you arrive and register as early as you can! 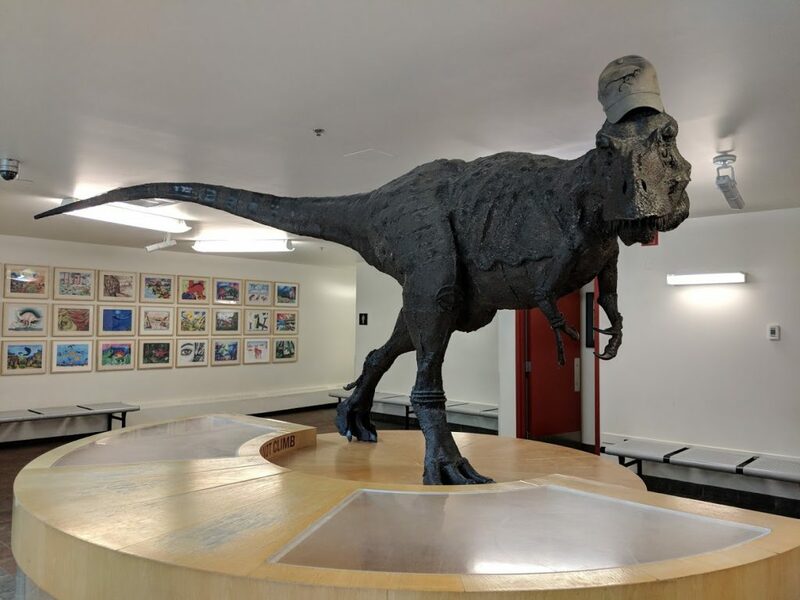 Programs range from guided hikes to supervised ‘digs’ to assembling replica dinosaur skeletons – the programs change seasonally, so visit the website for more details. Plan to spend the whole afternoon exploring the museum (there’s a cafeteria inside for lunch, or Drumheller has many popular fast food chains) and leave time to visit the World’s Largest Dinosaur and have your photo taken at the hoodoos on the way out (they’re about 15 minutes east of Drumheller.) It’s tradition. 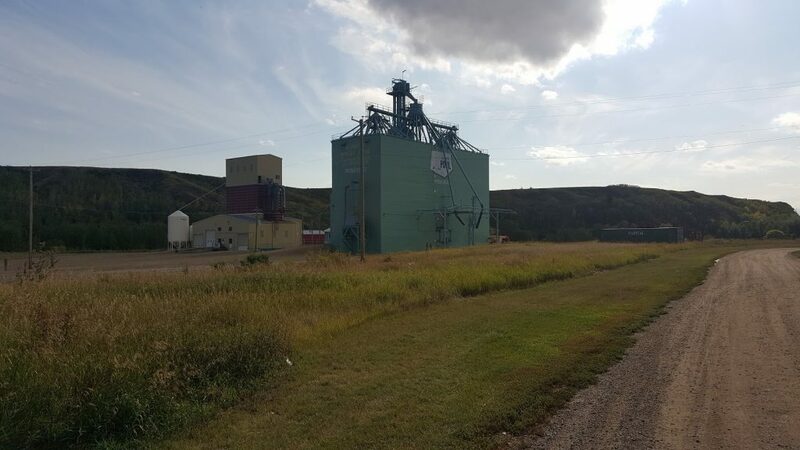 Rosebud is a tiny town of around 100 people located approximately 30 minutes outside of Drumheller, and it will surprise you! Nestled in a valley between rolling hills, Rosebud is picturesque and a little eccentric. 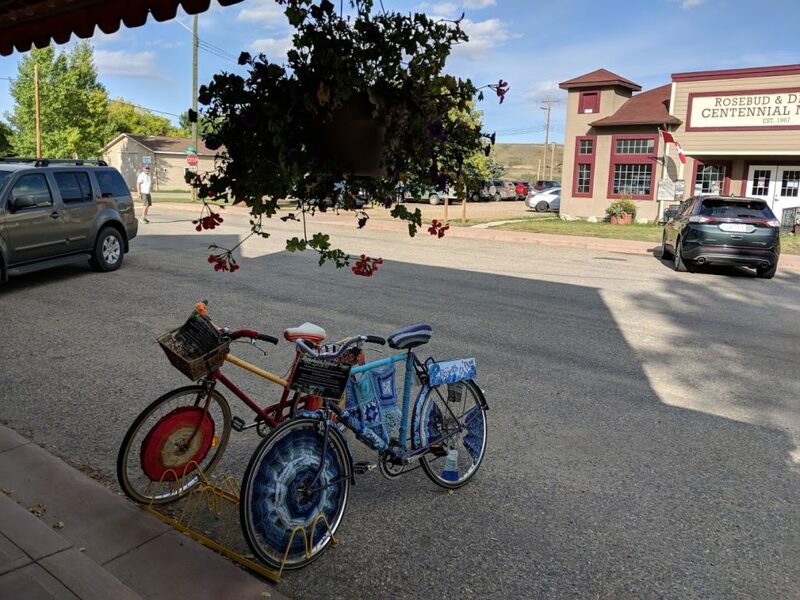 It’s not the kind of place you’d expect to see in rural Alberta; a wooden windmill greets you on your way into town, and the flower-lined streets showcase incredibly well-loved heritage buildings which have been restored to their original beauty. It feels a little like something you’d see on Vancouver Island – half artist commune, half campus town. Rosebud is home to the Rosebud School of the Arts, a respected and established post-secondary institution offering a unique multi-year certificate focusing on acting and music. It’s also home to a number of excellent gift shops, galleries, and – of course – the Rosebud Theatre. We were truly impressed by the thoughtful hospitality of the students and staff of Rosebud Theatre; before the performance began, smaller kids in the audience were offered cushions to help ‘boost’ them in their seats so they could see the stage better. (We wish more theatres would do that!) Their 2019 season will be announced at the end of this month, but in the meantime, you can buy tickets for the remainder of their 2018 season here. For families, we were recommended their Christmas show (which this year is “Sherlock Holmes & the Case of the Christmas Carol”!) We’re told Rosebud likes to decorate for the season, so we’re excited for our return trip! After a very full day, it’s easy to get home from Rosebud in a little over an hour. Take the 840 south out of town, then turn west on the 564, south on the 21, and west again on Highway 1 which will take you through Strathmore and Chestermere for those all-important coffee and bathroom breaks. Share your memories with family and friends and get ready for next weekend – after a good night’s sleep. Do you have a different One Perfect Day in the Badlands? Visit Canadian Badlands Tourism for more great ideas. Would you like us to explore One Perfect Day in another region of Alberta? Let us know at calgaryschild@shaw.ca! 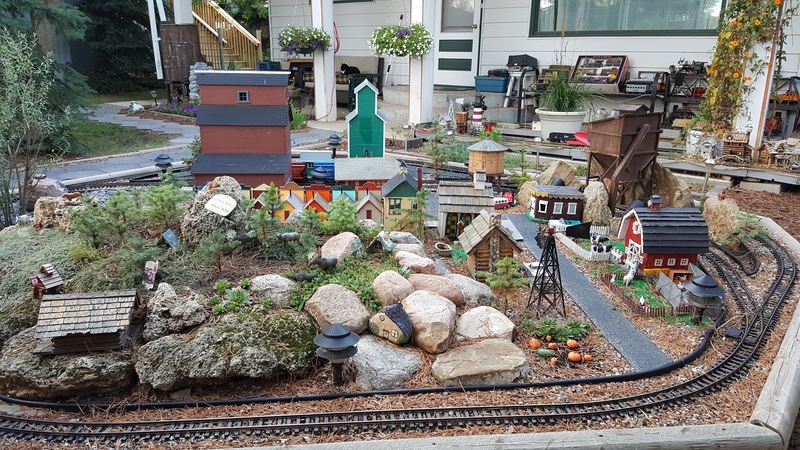 This entry was posted in Uncategorized on September 5, 2018 by Calgary's Child.